At FAM Flower Farm you can pay safely and quickly with your credit card. 1. When completing your order, choose the credit card company you use. 2. You complete the payment in the screen that is being opened. 3. If the payment has been processed and received by us, you will receive an e-mail with the confirmation of your order. 4. Your order will be processed and put into operation as soon as the products are in stock. At FAM Flower Farm you can pay quickly and safely by means of PayPal. To use PayPal, you must have an account with PayPal. 1. When completing your order, choose the payment method PayPal. At FAM Flower Farm you can pay securely by bank transfer. Payment processing depends on your bank's speed. How does payment work by bank transfer? 1. When completing your order, choose Payment Method Bank Transfer. 4. Your order will be processed and put into operation as soon as the products are in stock or ready to send. 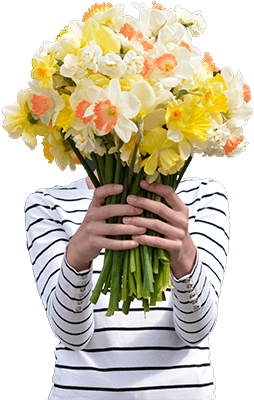 Every payment method offered by FAM Flower Farm takes place in a secure web environment. In cooperation with our payment service provider Mollie, we are committed to ensuring your safety and our safety. Together, we make sure that you always pay in an environment that provides the most up-to-date security features.